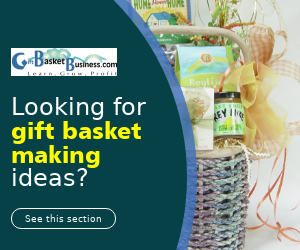 Do your gift basket customers shock you with surprising requests? Believe me, it happens every day. Here’s a sample of things people expect that makes you laugh. 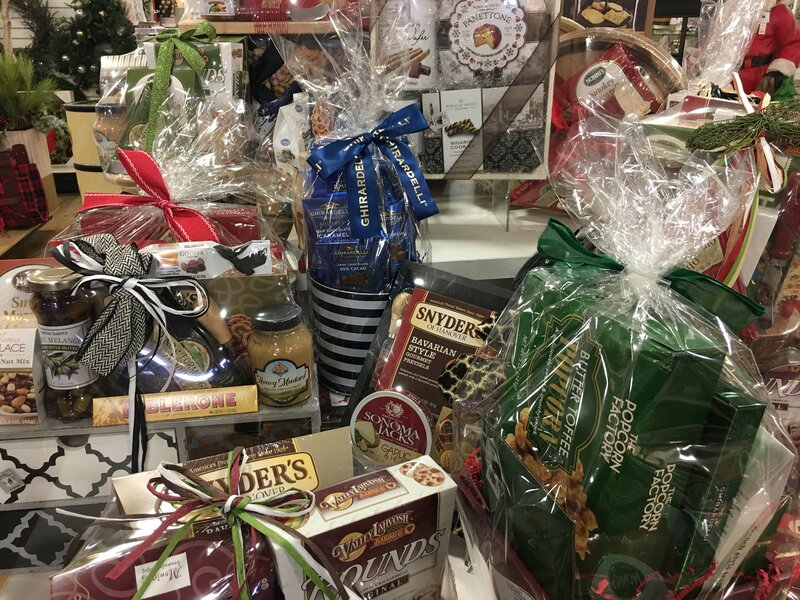 It’s a good thing that you love making gift baskets. The best news is that when you market them, the topic of another article, surprises you face in this industry will overshadow all else. 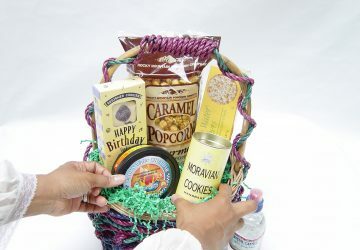 Whether you create them for fun or profit, you’ll find plenty of people who say the strangest things about general gift baskets, your gift baskets, requests for gift baskets, questions about gift baskets, and everything in-between. The last question I was asked that made me shake my head and laugh with a co-worker happened two days before this past Christmas. 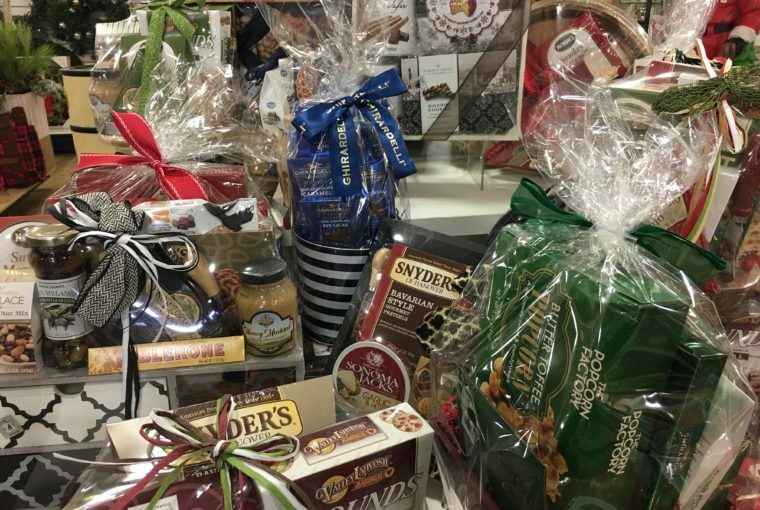 I was making gift baskets at a retail wine and gourmet store. 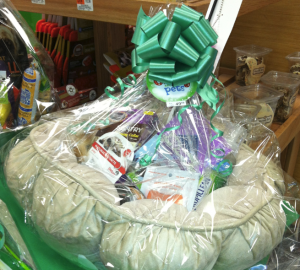 The shop has a popular and extremely-busy gift basket department. Eight of us worked varied shifts between 10:00 am and 10:00 pm. 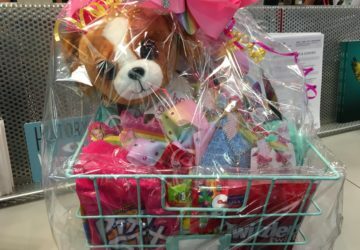 Orders arrived every day from other store locations and also at the customer service desk where the staff waited for customers to ask for custom gift basket designs made with items found within the store. 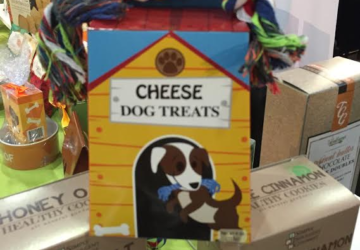 It didn’t take long for customers to present their merchandise. Either no one would approach for 15 minutes (we were busily making gift baskets during that time), and then five people would arrive at one time. It’s always feast or famine during the holidays – mostly feast. On December 23, a woman walked slowly to the customer service counter. Her torso bent forward due to her forearms being positioned on and resting atop the shopping cart’s handle. 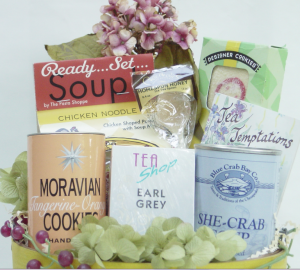 The gift basket making staff, including me, was busily fulfilling orders, and we were fatigued. It was so busy with orders arriving non-stop. The woman approached the counter, and I was there to greet her while completing an order. I looked at the co-worker standing beside me. We smiled at each other and then sighed together. Walk around with you two days before Christmas when there’s a back load of orders? You want to be accommodating when serving the public, especially when they neither know nor care about other people’s orders. However, that task is impossible when personal shopping service requests arrive at the last minute. Customers will call you or come into your store at crunch times wanting premium service. As much as you want to help, there are times when it simply cannot be done. 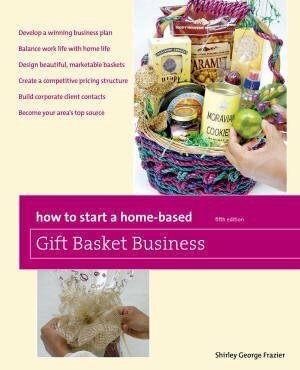 This is one of many reasons why my gift basket designers I mentor make so much money through a special method I teach that makes customers order early. If the story I shared above didn’t make you laugh, sigh, or at a minimum, purse your lips, you either had to be there or haven’t had this situation occur – yet. 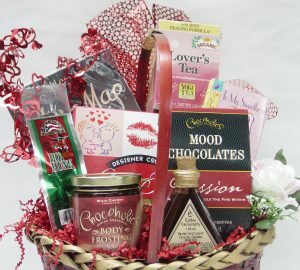 Stay with gift baskets for a while. It’s coming. Here are other witty questions and sentences from the public said to me or other designers. Which of these make you laugh? Which ones shock you? 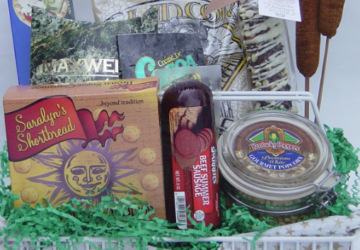 I make gift baskets, too. Can you show me how to make a bow? 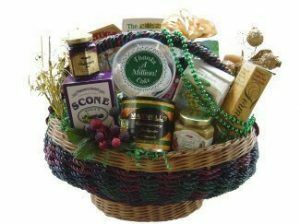 If you give me this (basket) for half price, I promise to buy more later. Tell me where you buy all of your products. 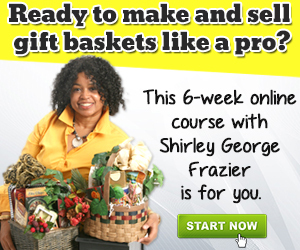 Can you show me how to make a gift basket? You can’t charge me a lot for that. I can go to (any discount store) and get that for less. I’m going to take this apart and see what you did so I can make my own. I want you to make this same one (in someone else’s catalog) and charge me less.